We love stories about bootstrapped startups, like Veoci is! Veoci offers solutions for emergency management & operations on their “no-code application platform.” This means users can build full-on solutions for their business needs with little to no web development understanding. In the last 7 years their platform evolved from using Vanilla JS & jQuery to BackboneJS and ultimately Vue – using the Vuetify Framework. 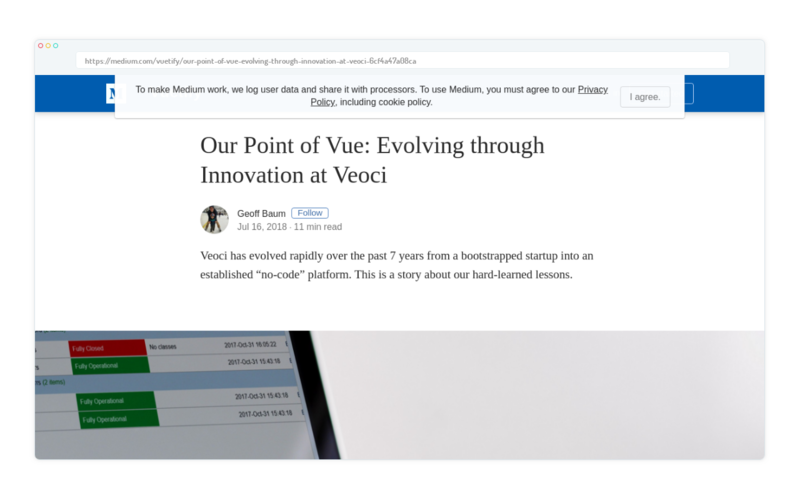 Geoff Baum, Lead Front End Engineer at Veoci is writing about their journey!